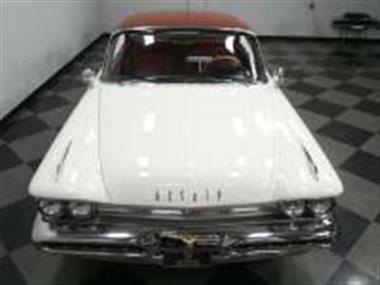 1959 DeSoto Firesweep in Concord, NC for sale. 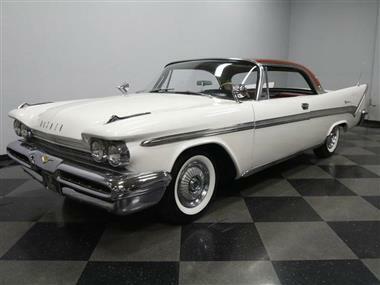 Luxuryand#44; distinctionand#44; and ultra rarity – thats why youre looking at this 1959 DeSoto Firesweep Sportsman hardtop coupe. The fact that this classic is complete and is the perfect representation of 1950s motoring is just the cherry on top.<br /> <br><br> Less than 5and#44;500 of these were made. 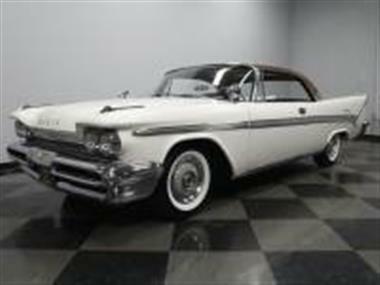 Yesand#44; Chevrolet basically averaged as many coupes in one week of 1959 as DeSoto made Firesweep Sportsman hardtops that entire year. Thats the kind of rarity that is something we all love to seeand#44; but there is much more to the attraction of this example. 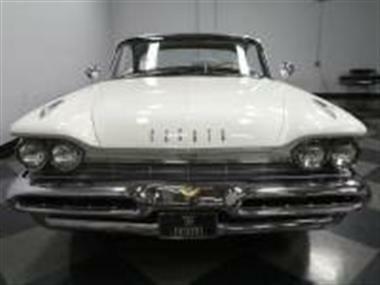 Chrysler products just had a little extra flash and size compared to its two rivals in the 1950sand#44; and this Firesweep is a prime example of this flare. Its a festival of harmonization as the two-tone red and white do a fantastic job of coordinating the full appearance of this car (the white with the whitewallsand#44; and the red with the interior.) But nothing in the design can outshine the complete brightwork package. It starts up front with the extra and highly stylized chrome bumper. 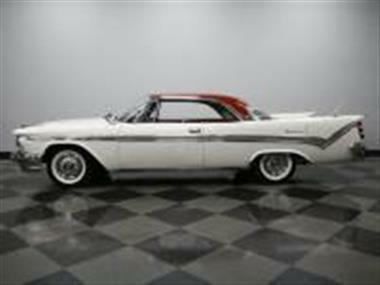 The trim rockets down the full length of both sides and kicks up at the end to emphasize the tailfin. It all concludes in the rear with a beautiful multi-level chrome bumper that emphasizes its place in the world as the wide boulevard king. This one feels factory correct right down to the hubcaps.<br /> <br><br> Inside the redand#44; whiteand#44; and chrome motif continues. 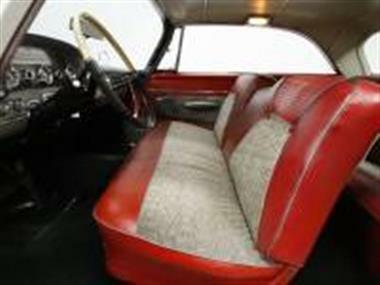 The two-tone vinyl bench seats have some great intricate white/gray textureand#44; and so do the matching inserts in the doors. The level of quality is apparent on this one the moment you sit behind the stylized two-tone wheel w/chrome ringand#44; and see the clarity of the full gauge package. And despite this cars sizeand#44; everything from the heat/defrost controls to the cool push-button transmission is all within easy reach.<br /> <br><br> When you open the hoodand#44; not only does everything look nice and tidyand#44; but also it appears highly original. 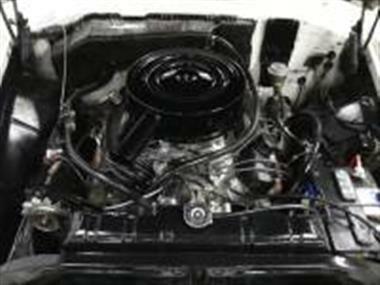 In factand#44; this V8 shows many signs of being the 361 cubic-inch installed at the Los Angeles factory. Not only is the motor date-correctand#44; but also the date code on the intake corresponds. It even has the period-correct three-speed TorqueFlite automatic transmission that is controlled by those nifty optional push buttons on the dash. Soand#44; it has the exactly kind of correct major components that you want in a rare car like this. But more than just collectabilityand#44; the big V8 can move this Firesweep with some real authorityand#44; but in realityand#44; these DeSotos were made to be comfortable cruisers. 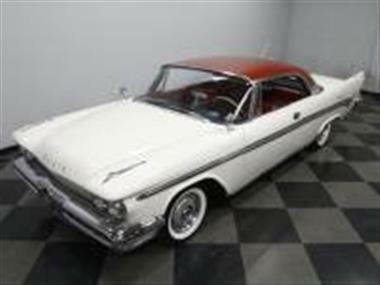 So this is the one youre going to enjoy showing off on Saturday but easy enough to drive all day on Sunday.<br /> <br><br> Complete with owners manual and other DeSoto literature from 1959and#44; this is a rare opportunity at an exceptional classic coupe. Dont let it slip awayand#44; call today!